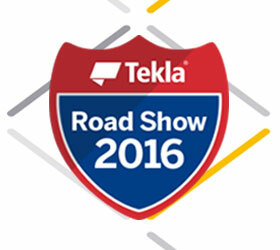 STRUMIS are pleased to be partnering with the Tekla Structures Road Show across 6 cities over the next month. Expand your knowledge of Tekla with hands on demonstrations of the latest functionality and integration with industry tools such as STRUMIS. Project and manufacturing data can be seamlessly passed for full production management though the factory and engineering office. Linking with Tekla Structures and STRUMIS adds an extra dimension to the way detailers work, especially in regards to change management. Being able to enquire upon items like purchasing and production information without having to pick up the phone and having that live information on demand is a huge benefit for everyone involved in the project. This integration can provide you with the competitive edge required to succeed in reducing your costs and maximizing your profits! Click on the link below to register for a show near you! We look forward to seeing you at the event!